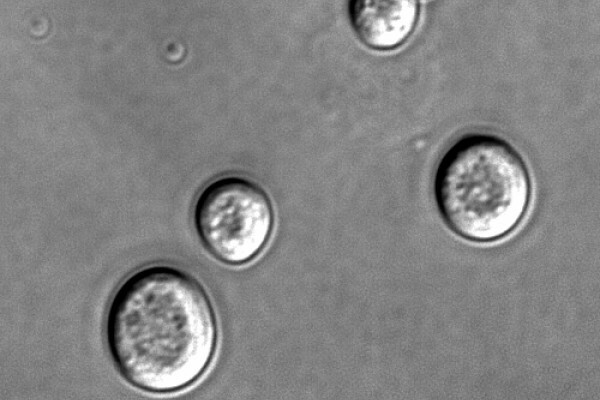 Scientists have made it possible for yeast cells to sniff out explosives. Writing in Nature Chemical Biology, Danny Dhanasekaran and colleagues, from Temple University school of medicine in Philadelphia, describe how they "borrowed" the chemical smelling system from a rat and successfully inserted it into a yeast cell. They located a receptor (a chemical docking station) that recognises a breakdown product (known as DNT) of the explosive TNT. This receptor was coupled on the surface of the yeast cell to a signalling molecule which could switch on a green coloured gene whenever the explosive chemical was picked up by the receptor. As a result, the cells would turn themselves green whenever they were exposed to TNT. This is just proof of principle, because the same trick could be used to pick up a range of important chemicals. Detectors based on yeast like this would also be a fraction of the size of the man-made equivalent. "This could be of immense value in the detection of environmental toxins and chemical warfare agents, even at sublethal levels," said Dhanasekaran. Can you turbocharge your porridge? What is the maximum dilution rate for oxygen in water? Why do we see beauty in nature? How underwater cable connectors work?